It is all done in vitreous glass. 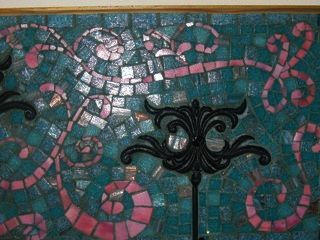 There is one tile colour that has gold running through it so when I used my green grout I added some gold sparkles to it. The photo isn't the best it is actually brighter than it looks.